The Brussels Diplomatic Academy (BDA) has established a Chair Asia-Pacific Studies, sponsored by the Aviation-Education Foundation. The Chair, established in March 2018, was created to enhance the understanding of developments in the Asia-Pacific region and to promote collaboration between Europe and countries in the Asia-Pacific region. The Chair holder is Prof. Dr. Kim Van der Borght, Professor of International Economic Law & Diplomacy at the Faculty of Law & Criminology and at the Brussels Diplomatic Academy, with research and teaching experience across the Asia-Pacific region. 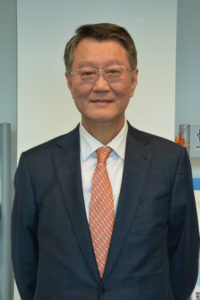 Prof. Dr. Wan-Li Wang, who recently became a Visiting Professor at the VUB, is co-director of the Chair, together with Prof. Dr. Kim Van der Borght. 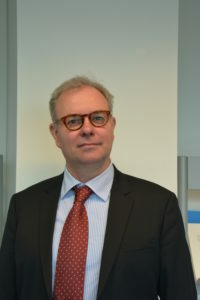 His diplomatic as well as teaching and research experience of the region will inform the work of the Chair, which is based in Brussels and was established in cooperation with the Centre for Private & Economic Law at the Faculty of Law & Criminology (PREC) of the VUB. The work of the Chair Asia-Pacific Studies is intended to advance regional stability, peace, security and prosperity, to foster networking and cooperation among countries in the region, to further good governance in the region and to learn from European development models and experiences. To this end it will develop a network of research institutes and think tanks to support its activities. These include collaborative research as well as outreach, dissemination and some educational activities. The Chair Asia-Pacific Studies will cultivate cooperation between Europe and the Asia-Pacific region in the areas of education, economics, trade and business. It is the intention that the Chair will serve as a knowledge hub on the Asia-Pacific region and will make this knowledge available to the academic and business community. For further information contact Prof. Dr. Wan-Li Wang, or Prof. Dr. Kim Van der Borght.